Museum Charles Frodsham and Co Ltd.
Frodshams has a small Museum of items relating to the firm that exhibit the diversity of clocks, watches and chronometers made and retailed. We would be delighted to hear of other rare and unusual items in collections, and welcome visitors by appointment, to view or research specific pieces. 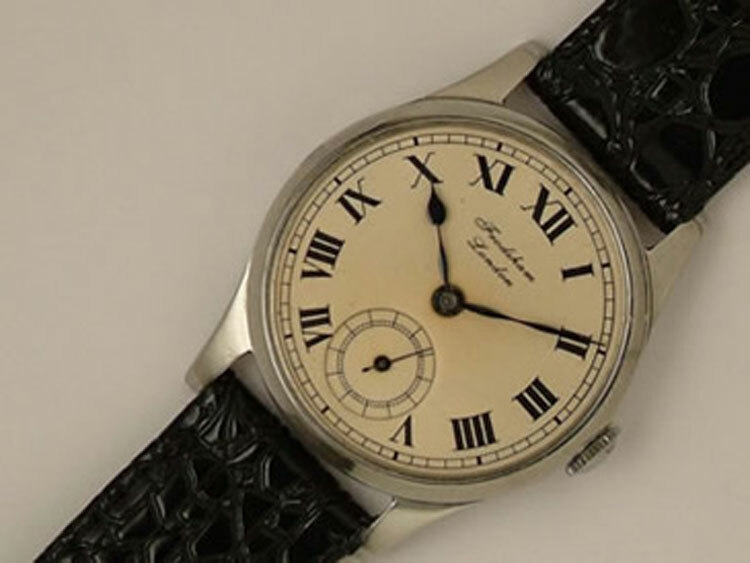 In 1947, a number of 12 ligne lever movements cased in stainless steel by Dennison, and with silvered dials were sold, the majority as presentation pieces for the directors of J. Stone & Co. (Charlton) Ltd. 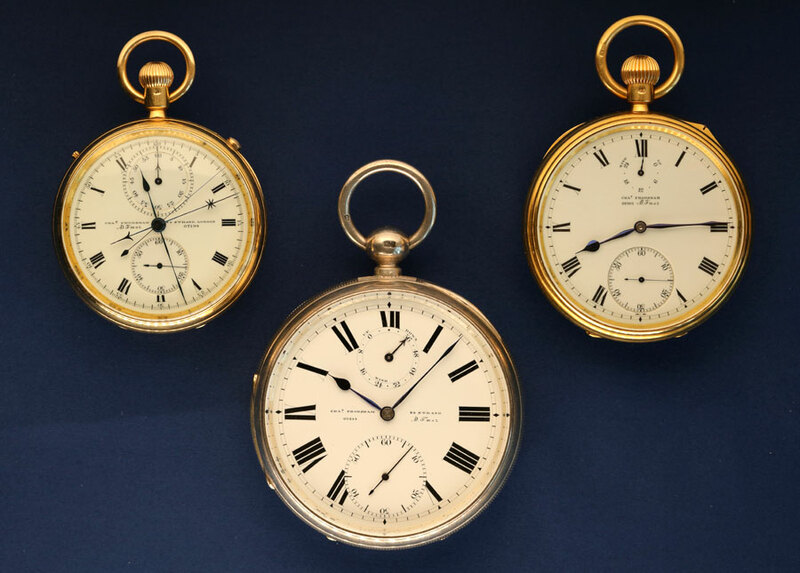 These micrometer chronographs were manufactured by Nicole Nielsen for Frodshams between 1892 and 1925, for use in short duration timing such as that for projectile flights. The open faced nickelled cases contain a 6-jewel fast beating movement with cylinder escapement and a small balance beating 72000/hour. The silvered dials are calibrated for 60-seconds with early models having a subsidiary dial indicating 1/20th of a second, and later versions having a subsidiary dial showing 1/100th of a second. Minute recording was also available as an option. They cost £20 to manufacture and sold for £30. 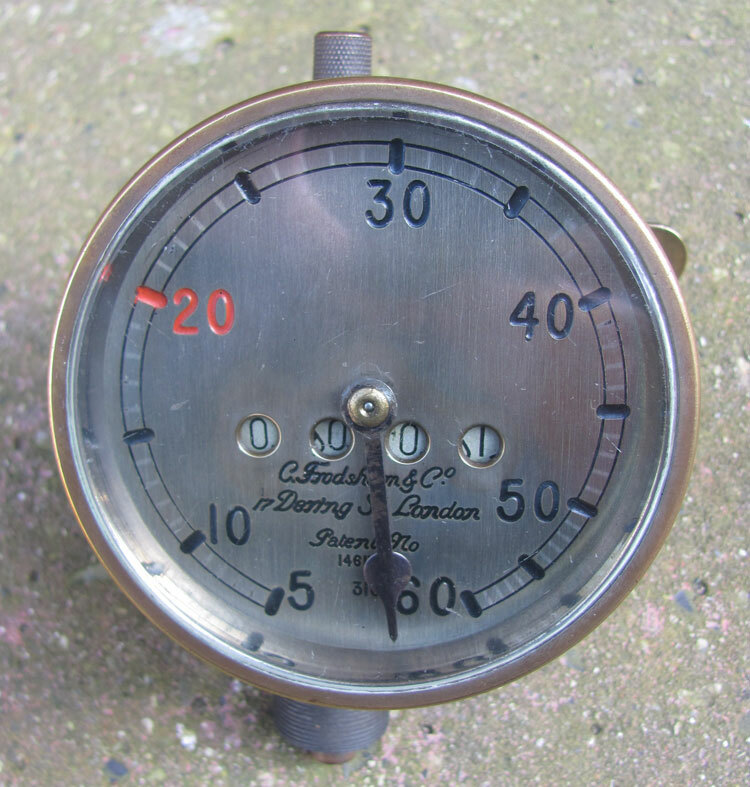 In 1911 the firm opened a branch specialising in speedometers. North & Sons in Watford made the instruments from 1905 – 1920. Three types were produced; total mileage and daily trip to 1000 miles (£5-5-0), without daily trip (£4-4-0), and with daily trip to 1000 miles and a maximum speed hand (£8-8-0).Between 1922 – 1932 Frodshams sold car clocks manufactured by Watford Clocks and based on a patent obtained by Nicole Nielsen & Co. Ltd. in 1914 for a method of winding and setting a clock from the front. In 1952, Frodshams were approached by The Admiralty Research Laboratory to develop a cyclometer clock. The clock was applied to ciné cameras to give a miniature record, on the border of each frame, showing the time the photograph was taken. An illustrated article on the Camera Timer was published in The Horological Journal, Jan 1954. Museums and Collections in the U.K. 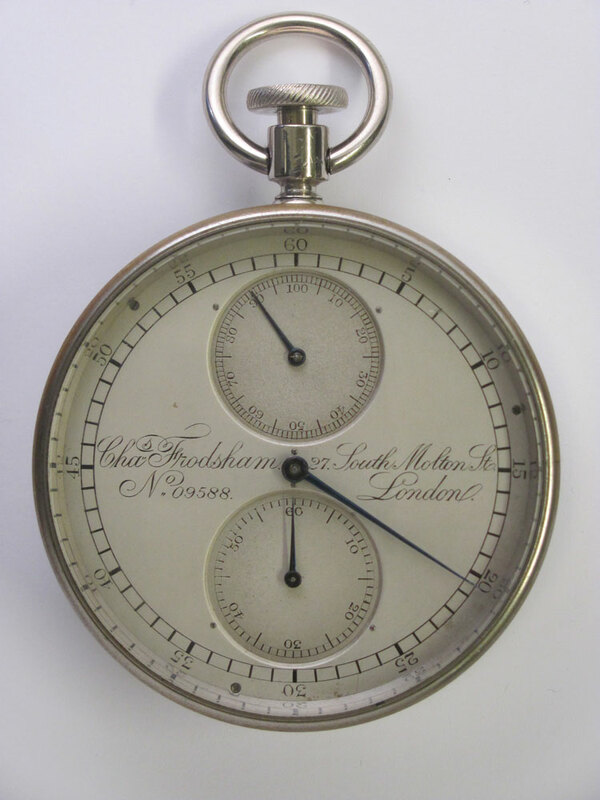 Listed below is a small selection of web sites that exhibit pieces manufactured by Charles Frodsham, or that contain useful horological information for research and general interest.